Chile is stunning all year round, from the desert north to the central coast (including Valparaíso) to the lake-filled south. In between, beaches, volcanoes, glaciers, islands and wooded waterfalls round out the experience for nature-lovers, hikers, cyclists, skiers, and of course, photographers. 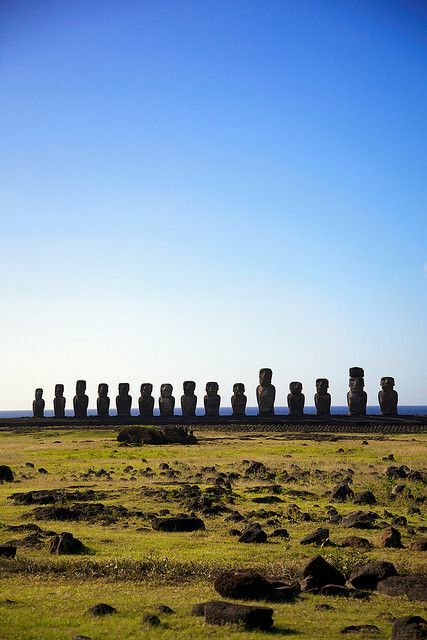 Below are photos of some of Chile’s most eye-catching places from north to south, and Easter Island. Easter Island is one of the most remote, inhabited islands in the world, located in the middle of the Pacific Ocean, more than 2,000 miles off the coast of South America. The island is famous for it these giant stone heads (called “moai”), carved by the indigenous Rapa Nui people more than 500 years ago. Easter Island is Chile’s piece of Polynesia, and is most known for its large-headed statues, called moai. Pictured is one of the most-visited ahus (ceremonial platforms) at Tongariki, at sunrise, when it is most often visited.